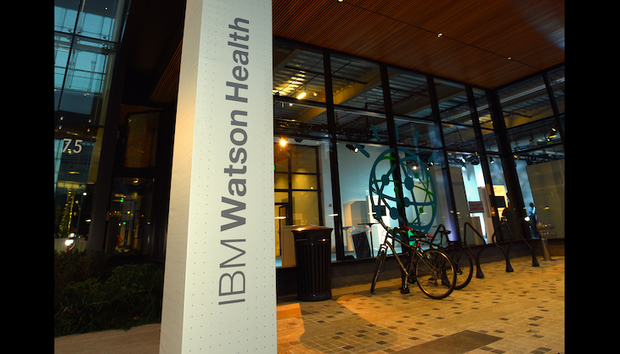 IBM's Watson Health artificial intelligence unit has signed a two-year joint-development agreement with the U.S. Food and Drug Administration (FDA) to explore using blockchain technology to securely share patient data for medical research and other purposes. IBM Watson Health and the FDA will explore the exchange of patient-level data from several sources, including electronic medical records (EMRs), clinical trials, genomic data, and health data from mobile devices, wearables and the "Internet of Things." The initial focus will be on oncology-related information. "The healthcare industry is undergoing significant changes due to the vast amounts of disparate data being generated. Blockchain technology provides a highly secure, decentralized framework for data sharing that will accelerate innovation throughout the industry," IBM Watson Health Chief Science Officer Shahram Ebadollahi said in a statement. Blockchain technology, which has been most closely associated with the Bitcoin cryptocurrency and payment system, is a distributed, tamper-proof public ledger of transactions that has been used to securely record loans, transfer stocks and business contracts. Blockchain works through a peer-to-peer computer network exchange where each node in the chain keeps a copy of the ledger and can trust others' copies because of the way they are signed using encrypted hash keys. Transactions are recorded as blocks of data to be added to the chain; each block contains a unique cryptographic hash that is used to track that block as well as others in the associated chain. Data within the blocks cannot be modified and the chains are secure by design. Electronic medical records (EMRs) carry a mass of data, including demographics, treatment and genomic information, and act as repositories for biomedical research. But because data in EMRs is the most highly sensitive, there has been little progress in sharing information for research and clinical use, such as aiding in physician decision making. IBM's researchers believe that by keeping an audit trail of all transactions on an unalterable distributed ledger, blockchain technology establishes accountability and transparency for data exchange. "Transformative healthcare solutions are possible when healthcare researchers and providers have access to a 360-degree view of patient data. Today, patients have little access to their health data and cannot easily share with researchers or providers," IBM said. IBM recently surveyed 200 healthcare executives, both with insurance payers and medical providers, and found 16% expect to have a commercial blockchain service at scale in 2017 for sharing data securely. In 2004, President George W. Bush called for establishing EMRs for most Americans by 2014 and created the Office of the National Coordinator (ONC) for Health Information Technology to lead the way. The Obama Administration then pledged $50 billion toward the implementation of EMRs, which were phased in under the "Meaningful Use" program. That program penalized healthcare facilities that didn't implement the technology. While most healthcare facilities have introduced EMRs, many are still not able to securely share data -- even with other hospitals and clinics in their own healthcare group. IBM's Watson supercomputer is now functioning as a cloud offering compute resources as a service. At the end of 2015, only 41% of non-federal acute care hospitals had clinical information from their patients' outside encounters at the point-of-care, according to the ONC. "Additionally, when seeking care for a medical problem within the last year, about one in three individuals reported experiencing one or more gaps in information exchange," the ONC stated in a report. The use of certified EMR technology has been proven useful for the electronic exchange of healthcare information between providers and insurers. It has also been shown to improve quality of care and workflow. In addition to more obvious uses, EMR data is also seen as a invaluable for performing large-scale but relatively low-cost pharmaceutical, medical and healthcare analyses. To date, however, little progress has been made toward that because of privacy and security issues. The use of secure patient medical data can be essential for the development of new drugs, and is key in enabling personalized medicine, where medical treatments are tailored to a specific patient based on genomics and other factors. Research has found that using patient data with machine-learning algorithms can drastically improve both the cost and quality of healthcare through simulation modeling. "Giving patients the opportunity to share their data securely, for research purposes or across their healthcare providers, would create opportunities for major advancements in healthcare," IBM and the FDA said in a joint statement. The two plan to look at how a blockchain framework can aid public health by supporting important use cases for information exchange across a wide variety of data types, including clinical trials and "real world" data. Patient data from mobile devices, wearables and other connected devices, for example, can help doctors and caregivers better manage population health, according to IBM. IBM brings extensive expertise in blockchain technology. For example, IBM is a founding member and key contributor to the Linux Foundation's Hyperledger project. For its part, IBM will work to define and build a scalable and decentralized data sharing ecosystem. IBM Watson Health and the FDA plan to publicize initial findings in the use of blockchain for healthcare data sharing later this year. « The clumsy & shocking truth about computer-related injuries!